Graph Marketing PowerPoint Templates And PowerPoint Themes 1012-"Microsoft Powerpoint Templates and Background with graph marketing"-Graph Marketing PowerPoint Templates And PowerPoint Themes 1012-This PowerPoint template can be used for presentations relating to-"Graph marketing, business, finance, globe, marketing, success" Launch your campaign with our Graph Marketing PowerPoint Templates And PowerPoint Themes 1012. Make sure your presentation gets the attention it deserves. 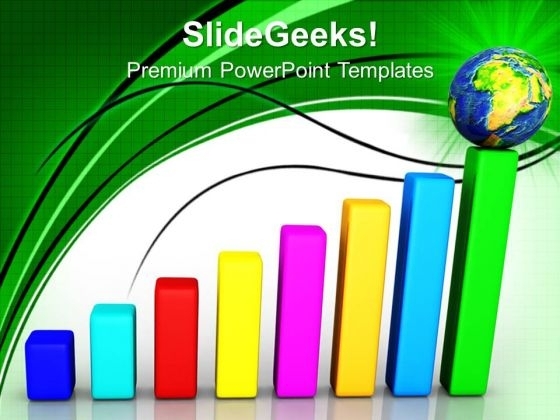 Our Graph Marketing PowerPoint Templates And PowerPoint Themes 1012 are very enticing. Get your audience craving for more.